For Easier Management and Better Results. Who are looking for REAL SOLUTIONS. our digital health report will tell you how you measure up. "I love the website DotCom created for my business. In terms of professionalism, they rocked! Before I had a custom-made site, I couldn't show off my credentials in confidence to prospects and clients. In terms of efficiency, DotCom really took the time to make sure my website was responsive; targeting specific devices like my iPad or iPhone. DotCom was readily available at an unbeatable price and offered a super-quick turn-around, despite a tight timeframe. 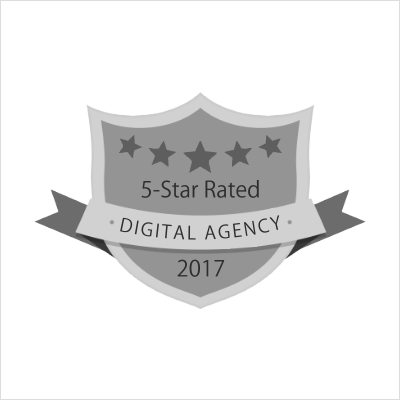 A great team I would refer to any business, friend or client who is looking for a 5 Star website and service." "We hired DotCom to streamline and modernize our website. We set up a series of monthly performance metrics that have met or exceeded every month. 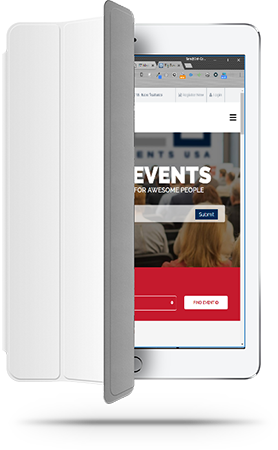 Our website is now responsive and we are able to measure our mobile growth on that platform. In addition, they have designed features that make us uniquely advanced in our industry. The outcome that we required from the beginning was "more sales". That is a lot easier asked for than it is achieved. For the first half of 2016, our sales have increased 19%, which leads our industry." "It was a relief when DotCom shielded us from all the technical details and just made sure we were designing a site that looks and works amazing. I was impressed with the delivery of their all-around skill set, client service and attention to detail every step of the way. They always took that extra mile to make sure our needs were met." "DotCom was an absolute pleasure to work with. Incredibly organized, easy to communicate with and super responsive with day-to-day needs and last minute requests. They always deliver beautiful work." "Delivering an exceptional product is always "job one". However, equally important to me as a business owner, it is crucial that I work with people that speak my language. Sam is always up-front and honest with his information. He takes ownership of his rare mistakes and is always responsive to emails and phone calls." "I have already recommended DotCom to other businesses. DotCom went above and beyond in helping create our site and truly trying to understand our needs. They were always patient with changes that needed to be made along the way and with our learning process of building a functional site. Any changes we did have were always done quickly." The objective of a Digital Strategy is not to create a strategy ... but rather to create results while saving time and money by making great decisions based on research and experience. Your website needs to look great, work perfectly, be easy-to-use, include useful information, and convert strangers into leads into customers. Your website is the foundation of all your digital efforts. Once you have developed a state-of-the-art website, it is time to let the world know that you are "out there". Quality digital marketing drives traffic today, while also building a solid foundation for future success. Effectively managing hundreds (or thousands) of leads, multiple social media campaigns, email marketing, tracking your online reviews, etc. can become very difficult without the right tools. 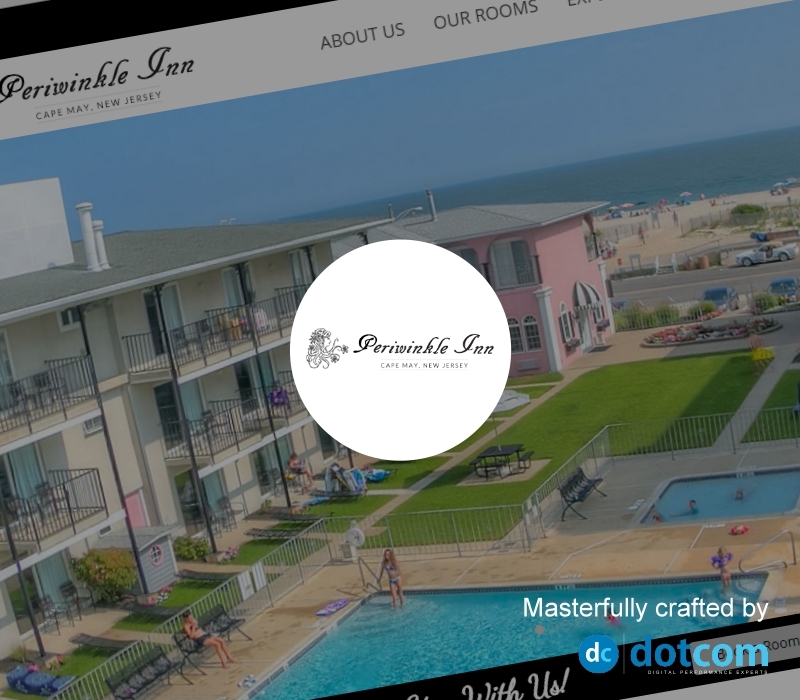 We completed this website design and digital marketing project for the popular Cape May, NJ hotel. the focus of the website design was to show the beauty of the hotel and to make booking a room much easier. From a digital marketing perspective, we are tasked with helping them achieve high search engine rankings and to driving more traffic through social media. Website Design, Digital Marketing, Content Management. 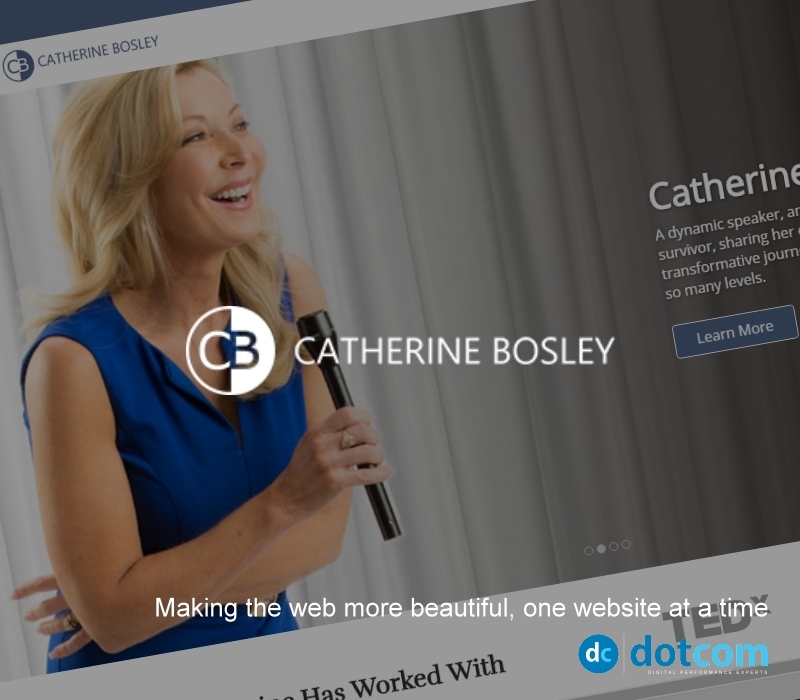 Catherine is a nationally known television anchor. She chose DotCom to redesign her website and to develop a digital marketing strategy to help her get her message out. We developed custom layouts and designs throughout her new website to help represent her beauty and professionalism. Website Design. Content Management. 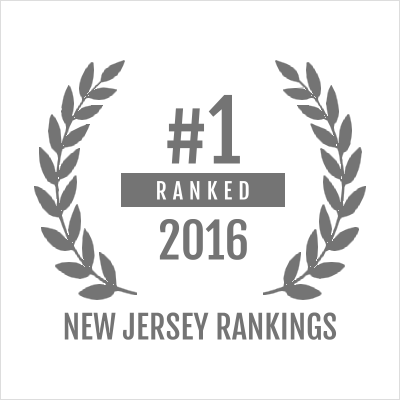 The New Jersey based company hired DotCom to redesign their website. 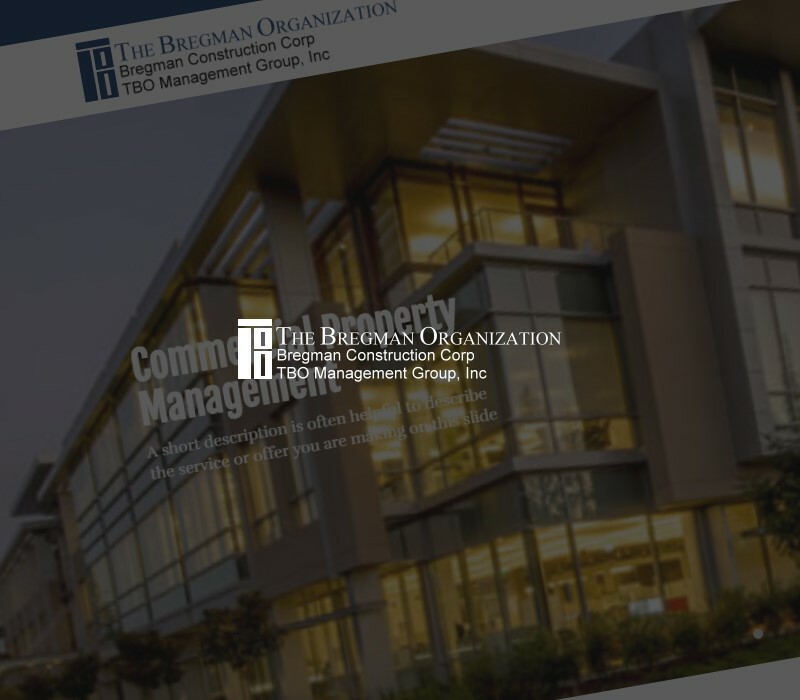 The website is more than a marketing tool for the Bregman corporation. They use it as a sales tool so we built in a number of powerful backend website features which help them to better manage their website content. Custom Website Design. 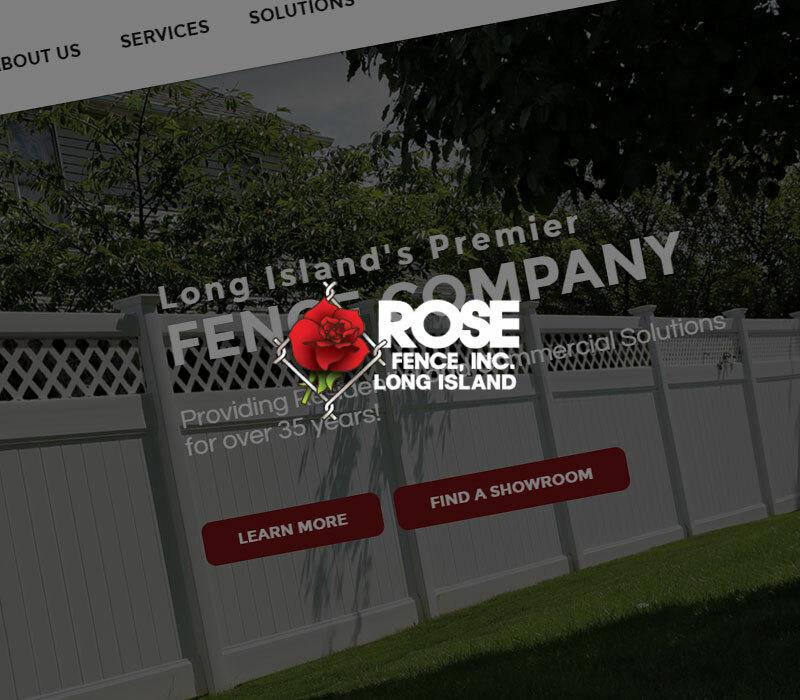 We developed a beautiful custom website design for this regional leader in fencing installation services. In January 2016, a hotel in a resort community tasked us to increase their organic website traffic by 100% as one of their primary objectives. At the end of 1 full year, traffic was up by 143% ... and is still growing. In 2015 we were hired by a regional leader in their industry to double traffic in the first year, double again in the second year, then double again in the third. This is HUGE growth for any company. The traffic was at 3,000 visitors per month. At the end of 2015, we achieved just over 7,000 visitors per month. In 2016 we reached 22,000 per month. Currently, we have seen over 30,000 in each of the last 2 months. All organic growth! A luxury retailer was only getting 3 qualified product leads per month from their website. 1 year later that number was up to 125 leads per month - with no drop in the quality of those leads (according to the sales manager). Last month it was up to 151. A professional service provider was closing less than one percent of their web leads. They hired us to improve their process. Within a year, the conversion rate increased to just over 6% ... and it's still climbing. Our fee was more than covered within 3 months. A professional service provider was concerned about their lack of social engagement and their small social following. We initiated an aggressive social engagement campaign which has seen their social audience grow by over 1200% this year, with huge increases in their engagement rates. A machine/tool manufacturer was experiencing lower-than-anticipated customer satisfaction with a new product release. Primarily due to a lack of training, customers were not happy with the product. We developed a series of online training videos that helped users get the most out of their purchase. Customer satisfaction increased immediately and dramtically. A "local" service provider was being dominated by their competitors on Google. We were hired to help them establish themselves as the local market leader within 18 months. Mission accomplished, they currently rank #1 in Google for 4 of 5 terms that were targeted. A service provider was losing an estimated 40 hours per week of productivity from his office staff simply by having to mail, fax, or email certain documents or forms to their clients and prospects. We created an online resource library for them which allowed their clients to access the forms themselves. This has led to a huge boost in productivity of the staff. A retailer was having trouble capturing email addresses of customers and leads. They had 3,000 email addresses when they approached us for help. Within 8 months, we helped them capture over 50,000 new addresses. DotCom is not a typical website design and digital marketing agency. While we do provide these services for businesses of all sizes, we are blessed to also be involved in a number of much larger "special projects". Here is a glimpse of just a few of these projects to help you get a better picture of just how powerful and diverse our online solutions can be and how far-reaching our business network and online influence actually is. 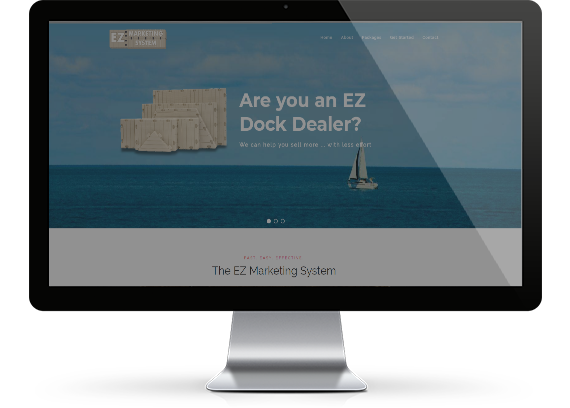 For nearly 20 years, DotCom has been providing EZDock (floating docks) dealers across the globe with custom and semi-custom websites. We have worked closely with people from the corporate offices in Sales and Marketing to provide powerful online solutions for their worldwide network of dealers and distributors. 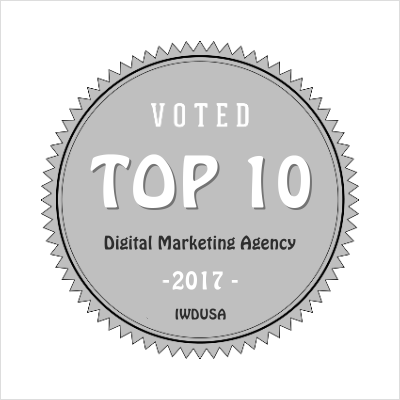 In fact, in 2006 our innovative website solution set a standard in the web industry by receiving the "Website of the Year Award" for our unique data push system which allowed their entire network of dealers to receive instant product updates on their websites as they were updated and released. 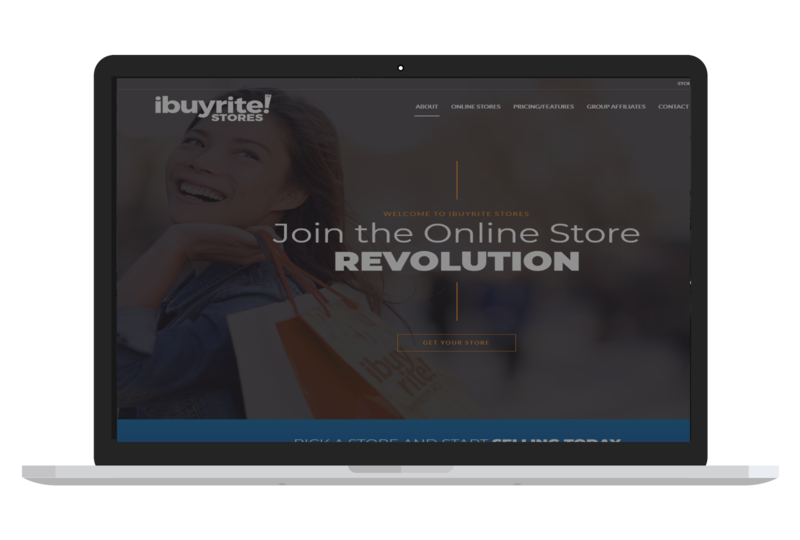 We are proud to be partnered with iBuyRite providing online traffic boosting programs to their network of online stores. iBuyRite is a fast-growing network marketing company founded by a team with a long history of successful network marketing company launches. We are humbled to be chosen as their exclusive provider of online traffic for each of their dealers. DotCom has partnered with a team of top influencers in the event/speaking space to launch Big Events USA. Poised to disrupt the entire speaking / event industry, Big Events USA puts the Top 1% events within reach for millions of people who would have otherwise not known about or had access to these top events. 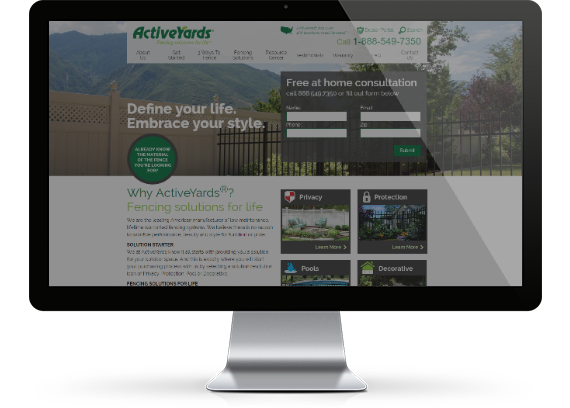 Active yards (a division of Barrette Outdoor Living) is one of the leading manufacturers of vinyl and aluminum fencing in North America. We have been tasked with helping each of their dealers across the United States dominate their local markets in Google searches - driving up traffic, capturing more leads, and drastically improving sales and revenue.